You need to need to move quickly ..we understand it …. divorce, job relocation, death in the family however, selling a mobile home can take months, it may take years and you probably don’t have that kind of time. If you sell to an, individual buyer, you will have to deal with getting them approved by the mobile home park. This process can take up to a month or longer. You could have to deal with the park denying buyers that you bring in. They need to have good credit to afford the month to month lot rent. Plus, many parks won’t let you put for sale signs up in your window. How are you going to market the home and where are you going to market it? You would also have to find someone who has cash to buy. Most banks won’t finance mobile homes that are older. They typically won’t finance ones that are 10 years or older. They generally have to appraise for what you are asking for the mobile home. Ugh, so now my buyer needs park approval, loan approval and let’s not forget my buyer needs have a clean record to comply with park rules and let’s not even start with how quickly the new buyers need me out of the home. Many times buyers get almost to the end of the process of buying your home and something goes wrong so YOU have to start all over again with a new buyer. Now you’re talking even more money. Lastly, on a personal note from the author… I recently moved, and it wasn’t a lot of fun cleaning my house top to bottom every time I had to show it. Plus, having strangers come through my home. I had to watch them each time they wanted to see the home and it was not a lot of fun. I had other things to do with my kids during nights and weekends. I was just simply a busy person like most people are now a days. I usually wanted my husband home with me during the showings. He worked different hours so this made the showings even more difficult. There is an easy solution that I can provide you with and I make this process so simple most sellers ask if it’s really that easy. They can’t believe how quickly they sell their home…Here is how it works in these simple steps which will take you about 30 minutes tops. 1.) You tell us about your home…just basic info: year, size, singlewide or doublewide and number of beds and baths. We also like to get the measurements if you know them…..(maybe 10 minutes of your time)..Learn here how to measure a mobile home. 2.) Next you send us pictures. (maybe 15 to 20 minutes of your time). You can email those or you can text them. We try to make it easy. Now you may be behind on payments on your mobile home to the bank and facing mobile home foreclosure. If you are there are some options that you can look into. If you owe more than the home is worth that might be an issue to speak with an attorney about. Once you have a new buyer contact your park office to give them a 30 day written notice of your plans to vacate the mobile home. I would put the notice in writing and mail it with a confirmed receipt that they did receive it. That way you have proof of delivery to the park office. Make sure to provide the park with your new forwarding address as well. 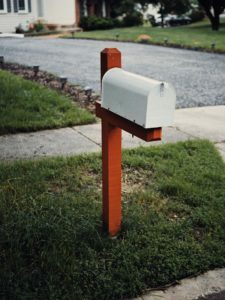 When you purchased the home you paid a deposit to the park on the lot if you want that back you must provide a new forwarding address to the park office. Many times tenants will pay hundreds of dollars towards these deposits. If you need help moving check with friends / family and schedule a date now. People have busy lives and their weeks fill up fast. The sooner you can book a date the better. If you need to hire a moving company start checking now their dates also fill up fast. Remember if you are doing the move on your own you will want to check with a moving truck company as well. There is nothing worse than going to move and having these trucks not be available. Book Now! Have a garage sale to get rid of items you just don’t need. In the long run it will make you some money and there will be less clutter for you to have to move. Be sure to check the items out online you never know what treasure you might have. Facebook marketplace and EBAY is a great place to check values on items. If you have unwanted clutter you can always call the Salvation Army or a nearby donation company. Many times they have trucks and they will come and get the items. Now that you have all your items that you want to keep put them in boxes and label the outside of the boxes with a marker or label showing which room each box needs to go in. Go visit your local Secretary of State or Bureau of Motor Vehicle to get your license changed. Later on when you are looking to get different debit cards or change your bank information many banks require that your drivers license reflects your new address. If you do it now it will be less you have to worry about later on. Contact your TV / cable provider to disconnect services. 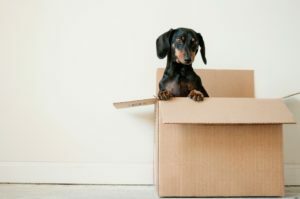 Many services now offer a moving service where you can take the same service with you to your new home. If you are happy with the service provided why not take them up on this offer. Tell your garbage / recycling company you will no longer need their services at that address because you are moving. See if they offer services in your new location. They may give you a discount for moving and keeping your service with them. Get in touch with your electric company and give them a specific date to turn off the power in your name at your mobile home. Make sure if it is a winter month and someone is taking the home over that you coordinate with the new buyer so that you don’t turn over a home that is frozen up. Tell your gas company to turn off the gas. Many times the gas and the electric company are the same company but if you have a separate provider you are going to want to call to set a date. If the mobile home is going to be empty for some time you may want to contact the park to have the water shut off at the meter. A leaky pipe while no one is in the home can make for a bad situation really quickly. Finally be sure to turn your mail keys into the park office when you leave. Many times they will charge you for a set of mail keys if they are not returned properly. In conclusion, if you need to move from your mobile home quickly you have many options. 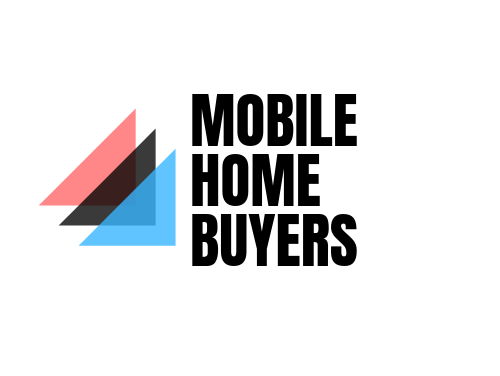 The quickest way to sell your mobile home whether you are back on taxes, rent or payments to the bank is to contact me I can help you through the process. So, let me help you make this process easy today…. give me a call or text me now at 989-233-2568 .